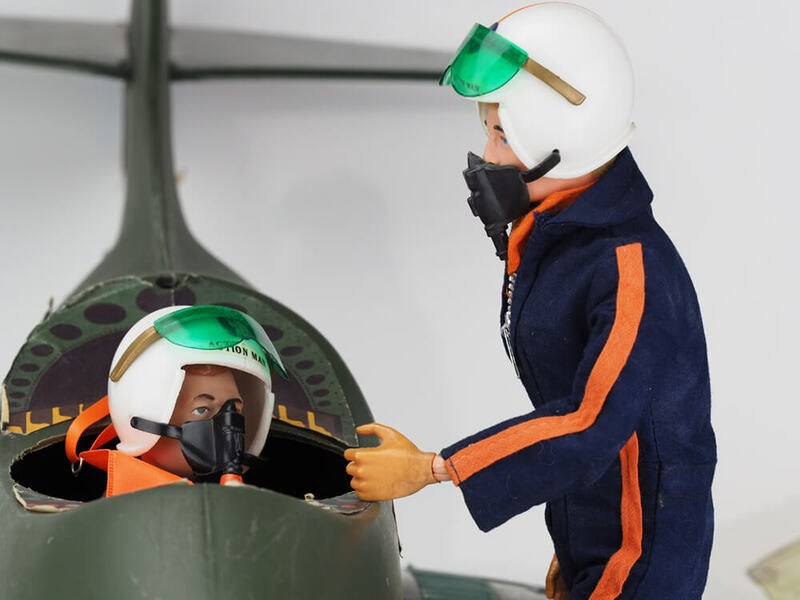 Action Man could take to the skies in a jet aircraft called the Action Man Task Force 'Combat Plane'. It's a rarity, especially if intact with original stickers and cockpit glass present which is hard to recreate with any accuracy. 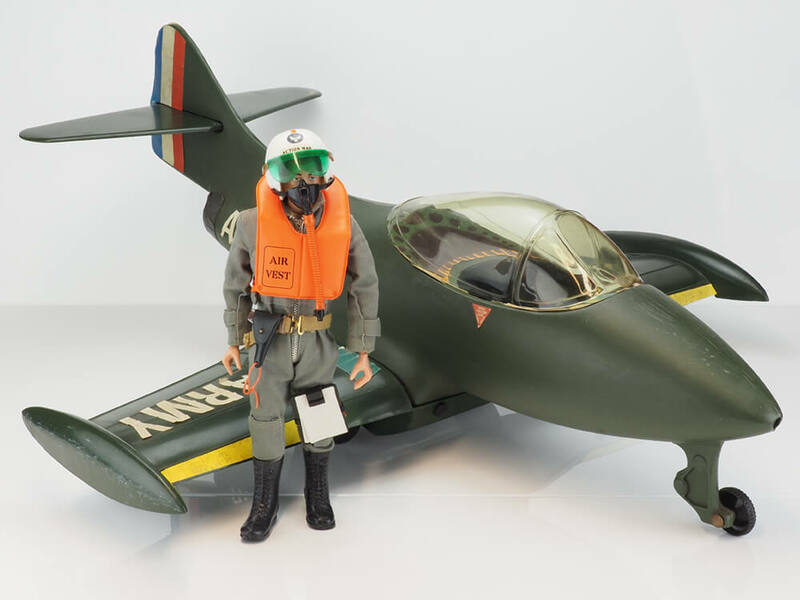 It was sold by Palitoy's General Sales from 1978 on was based on a re-badged Irwin GI Joe Jet Fighter. 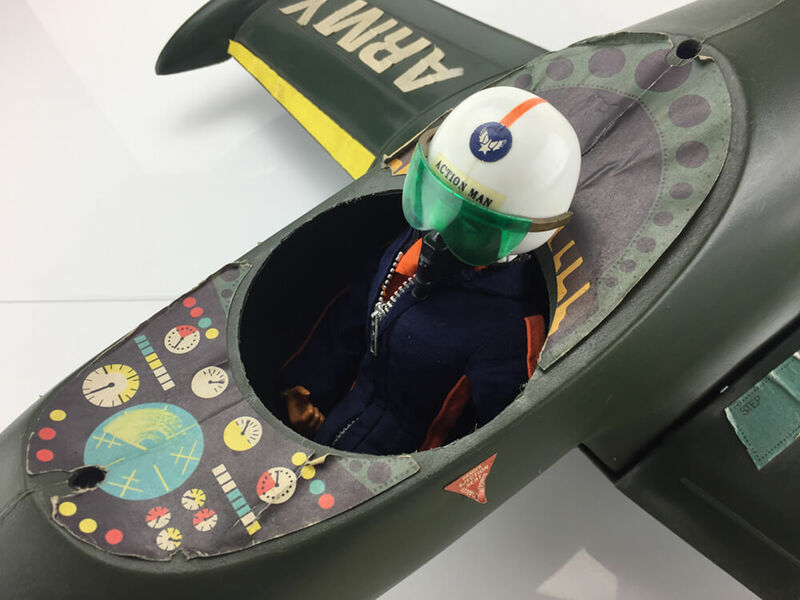 Styled upon the Grumman F9F-2 Panther of the Korean War, the Action Man Combat Plane does not appear in any of the standard Action Man Equipment Manuals so perhaps would only have been encountered in (larger) toy stores that chose to stock the large boxes. 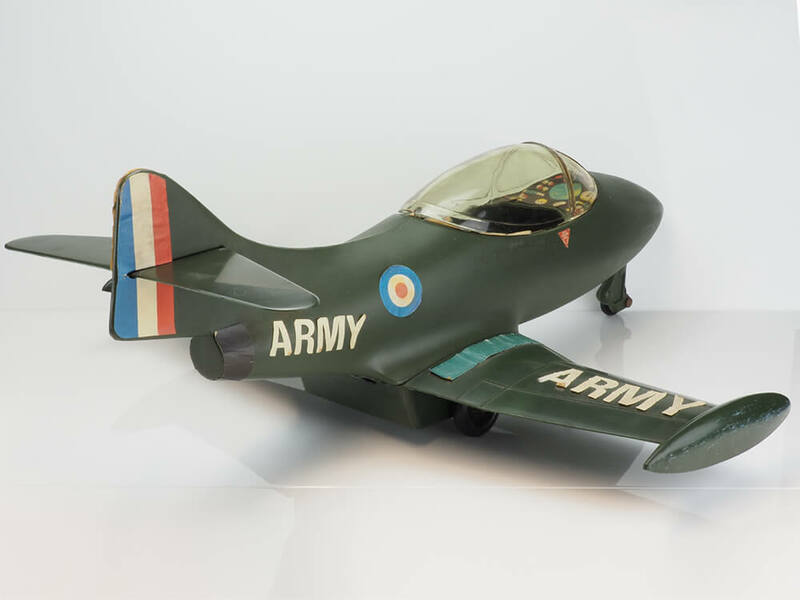 The much earlier Scramble Pilot (of a US flavour) would be most appropriate to use as a pilot for this aircraft but he was now ten years out of production. The only real option available was the Helicopter Pilot of the time. 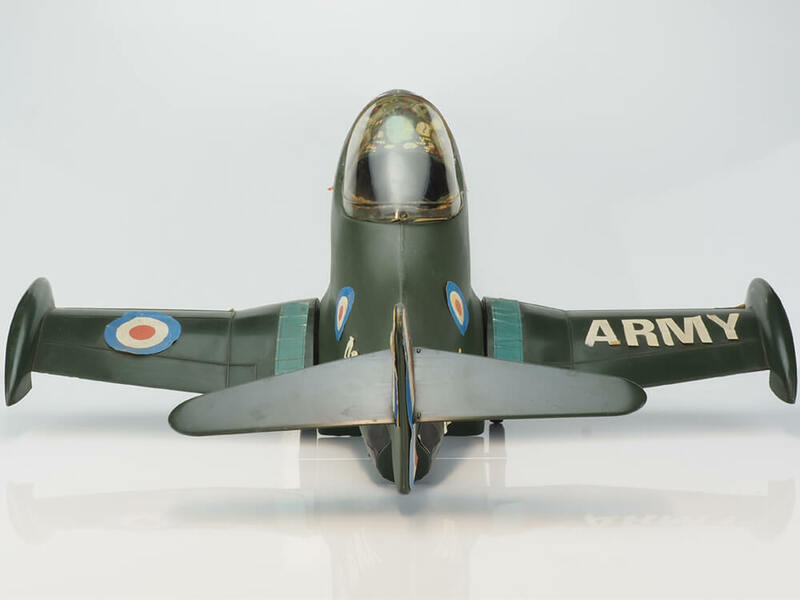 The Battle of Britain Pilot was a WWII creation so inappropriate perhaps (perhaps he awaited a Spitfire which never materialised). The only other Royal Air Force uniform was only that of the( working dress) RAF ground crew. The Pursuit Craft Pilot of course, has his own transport. It is not clear how long it was available for, but likely only a year or two because of it's rarity in the collectors world. With a 26" wingspan, and at a length of 30" from nose to tail, it is a sizeable aircraft and is an impressive piece. 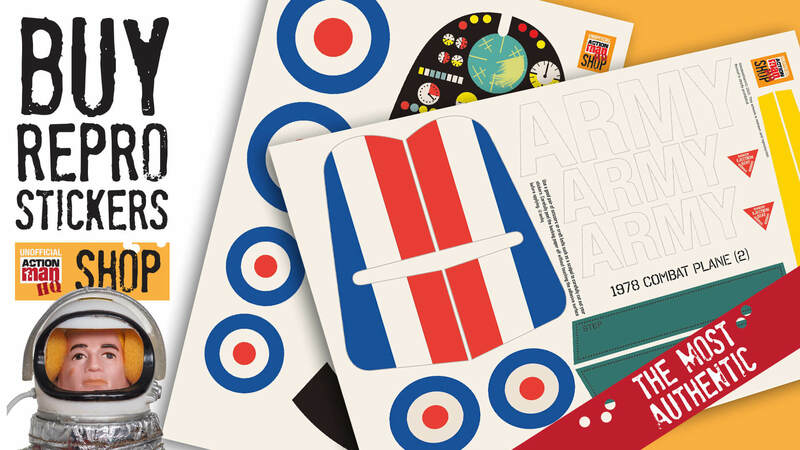 Replacement reproduction stickers can be found at the Action Man HQ Shop. The cockpit is a delicate part and is often found broken. 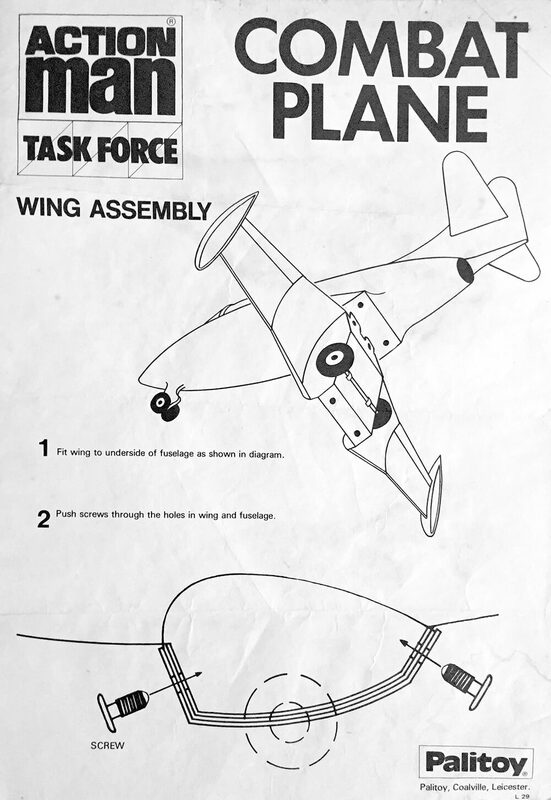 The front and rear locating pins drop into a hole fore and aft of the cockpit opening of the blow molded fuselage. 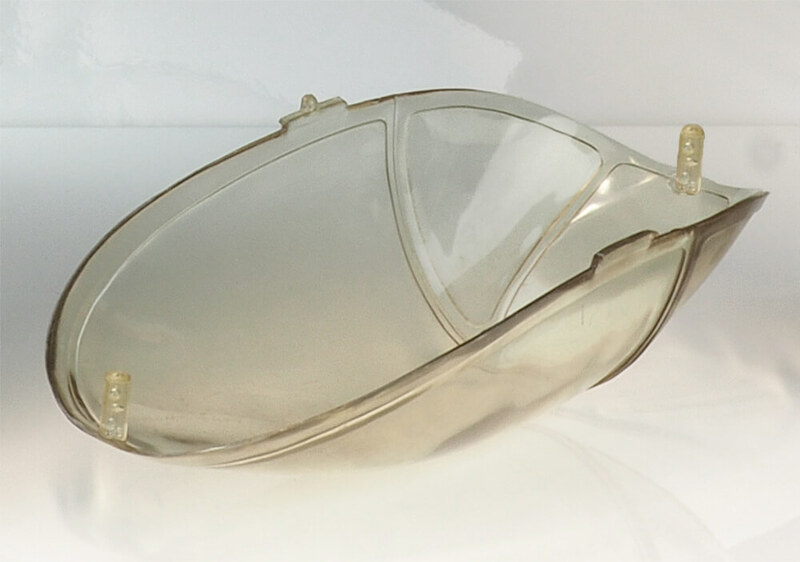 The sides of the canopy have two lugs that slightly pinch together to for a snug fit. 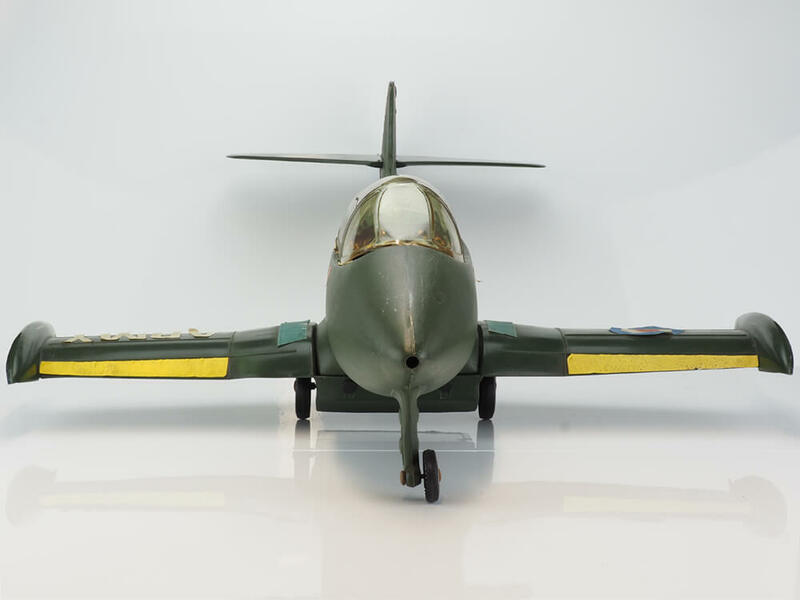 The main plastic wing section has 4 poppers holding it to fuselage. 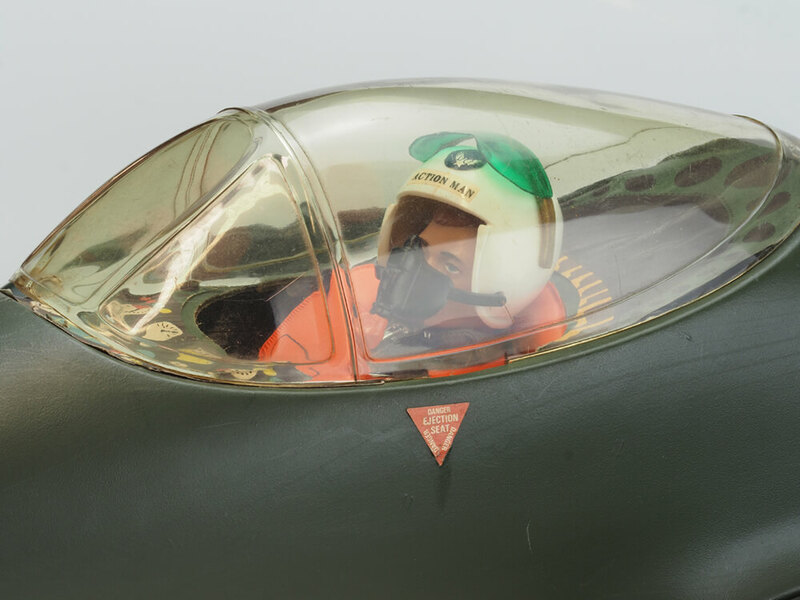 There is no seat or joystick to be found within the cockpit area - just two half moon shaped control panel and cockpit detail stickers. 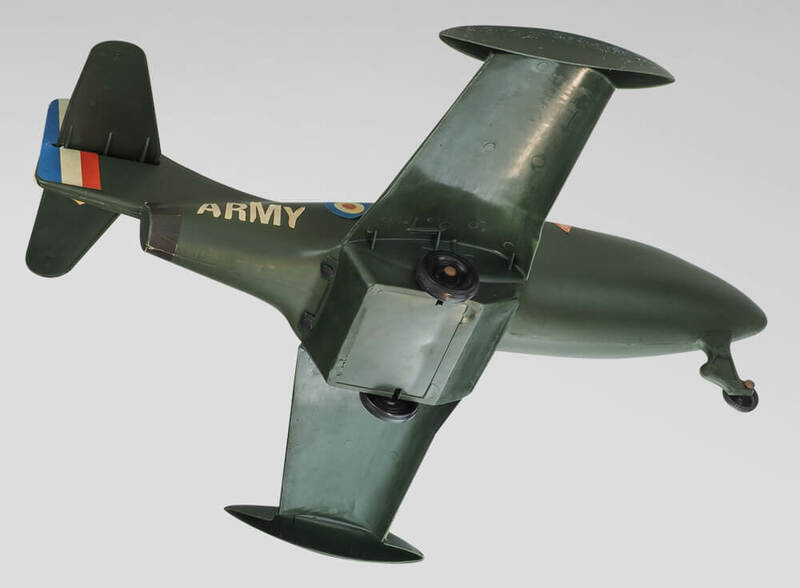 The rear stabiliser (small wing at back) slides through the (vertical stabiliser) tail slot and small bumps slop it sliding back out. The underside is a little disappointing, having no stickers. Stickers often come adrift too - either warping through a combination of dampness or heat or the adhesive failing. 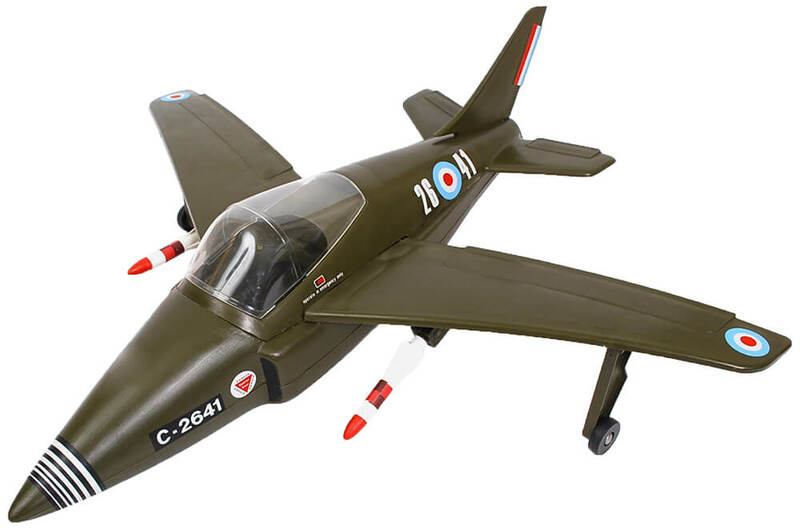 A red plastic version was produced at the time, close in appearance to the Red Arrows display team. 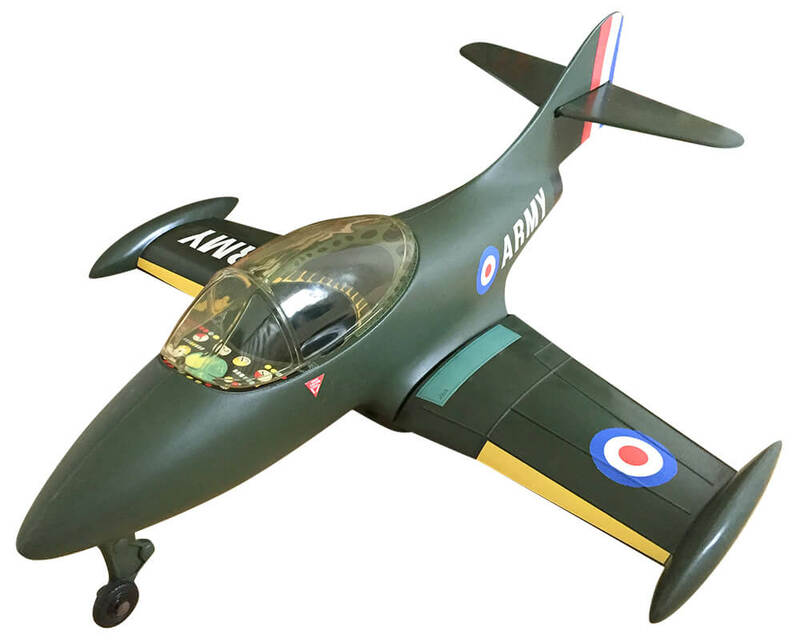 Irwin had previously produced a dark blue version for GI Joe called the 'Jet Fighter Plane' with US 'NAVY' markings on its sides along with a leaping red panther (5396). 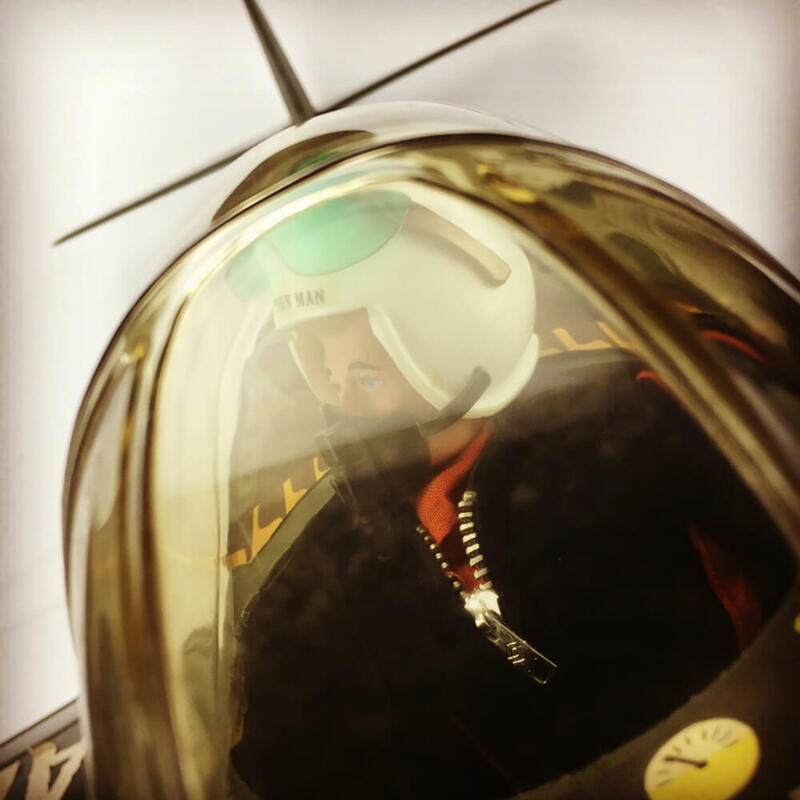 The GI Joe version had a mechanism emitting a roaring engine sound as it taxied and was friction powered. 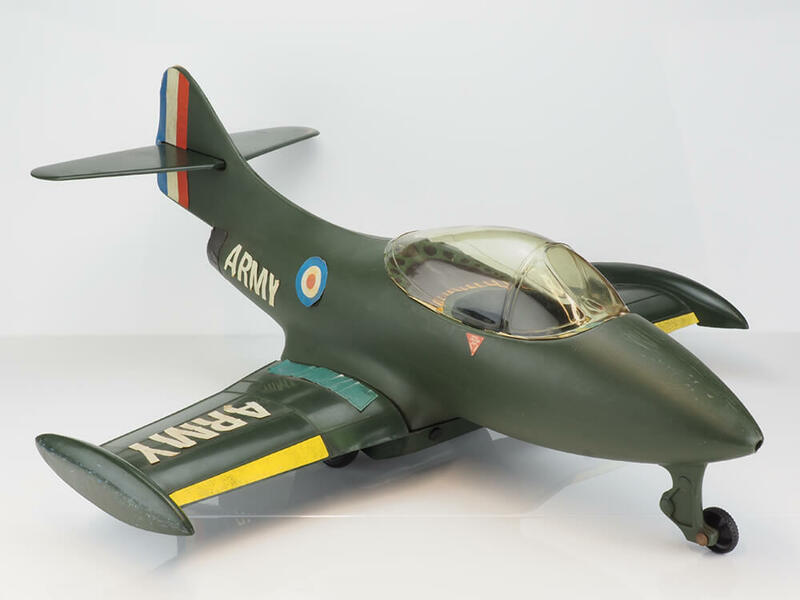 A more contemporary jet with delta wings (HS Hawk) was produced by rival company Cherliea - who often competed successfully for the action figure transport market during the same period offering better value for money. 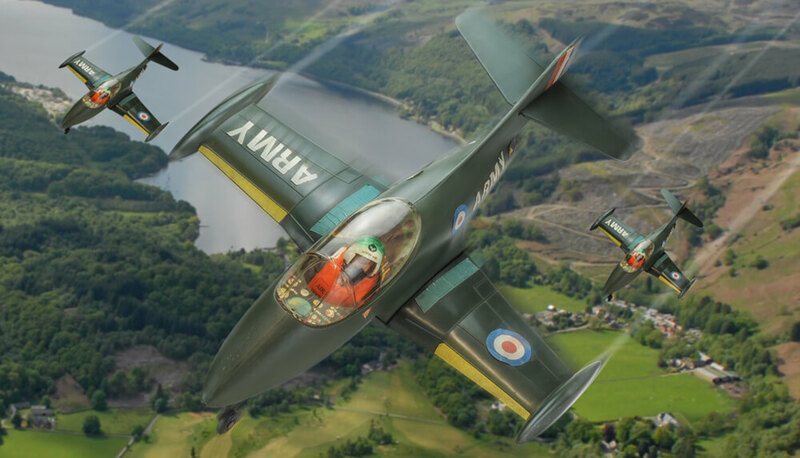 Action Man Combat Planes in action. 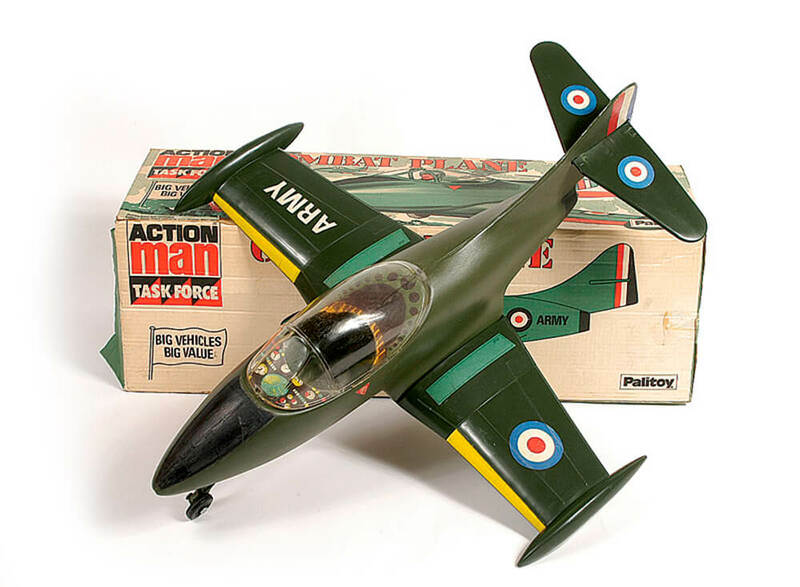 Action Man Combat Plane and Box (Image courtesy of Vectis Auctions) Note stickers incorrectly sited on rear wing. 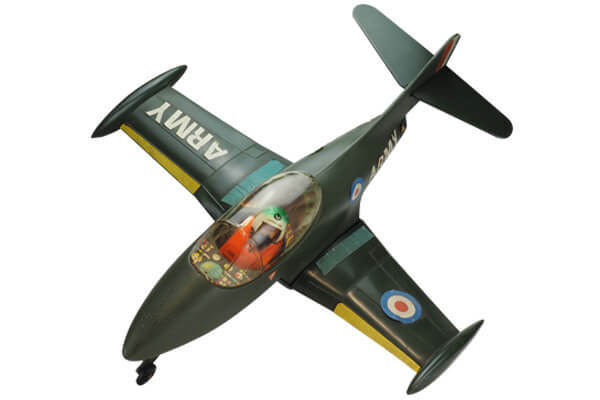 Action Man Combat Plane - suitable pilots could be Scramble. Pursuit Craft or Helicopter type. 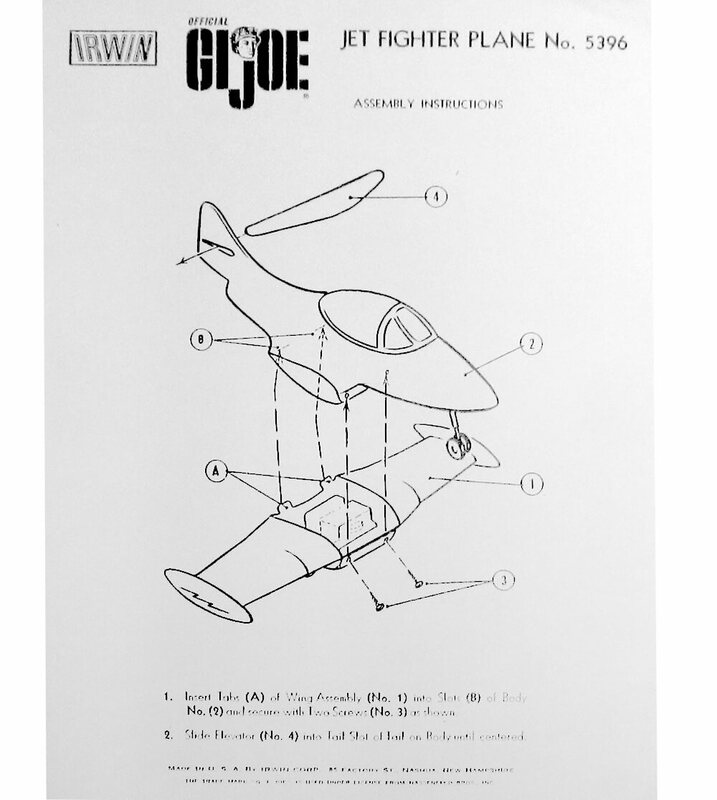 GI Joe Fighter Jet Instructions No5396. 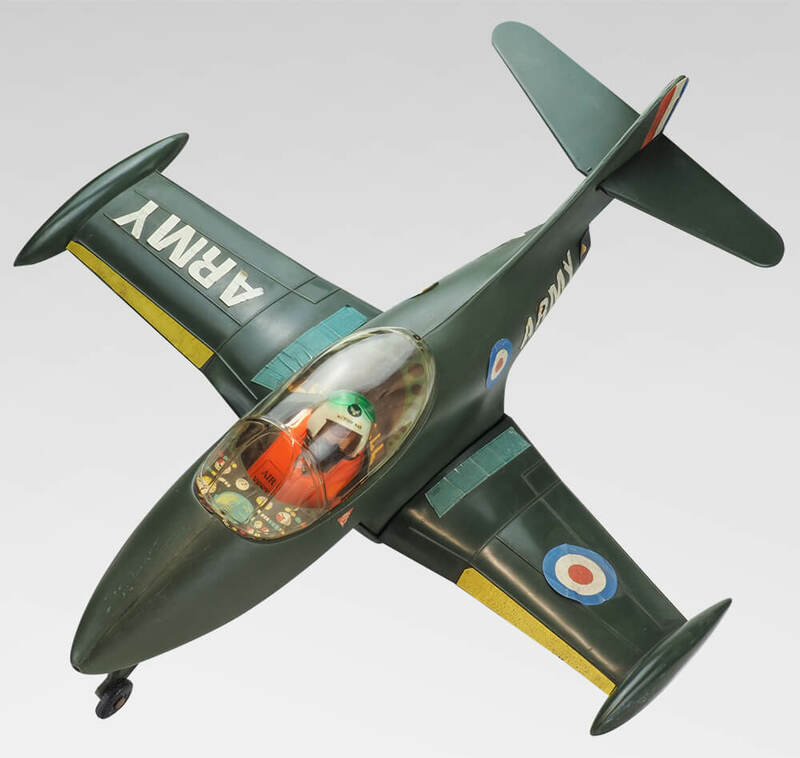 The Cherilea 'Jet Fighter' often mistaken for an Action Man aircraft. It included rocket launchers.